Having grown up in Kerikeri, Briar first started with Harcourts in 2012 after completing a Bachelor of Communications at the University of Waikato. After gaining some experience in media, marketing and hospitality while working in Auckland, Briar then moved to London for a stint where she primarily worked in hospitality PR. 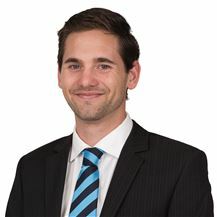 Now BDM for the Harcourts Bay of Islands group, Briar is involved with our sponsorship and community projects, property management and development. Briar takes care of all thing’s social media and events, and along with the rest of the team, is an ambassador for our core company values. Briar has a love for travel and exploring the world but loves returning home to the Bay of Islands. Dennis began real estate in 2006 after many years of small and medium business ownership and leadership. His strengths are in strategic planning, marketing, motivation, sales and negotiation which are key factors in real estate. Dennis is the business owner and as had grown the business from two offices and seven staff to seven offices and over sixty staff covering the entire Bay of Islands and Far North area. He leads a team of very successful sales consultants covering coastal, residential, lifestyle, rural, commercial and business sales along with a large property management team. Dennis is a multi award winning real estate consultant committed to achieving the best possible outcome for the company's many customers and clients. 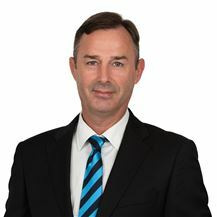 Tom has spent more than 14 years in real estate, in a variety of roles, including both residential and commercial property management, project development, lifestyle and rural sales and as National Manager of rural and lifestyle for Harcourts NZ. Tom previously owned and was hands-on managing one of New Zealand’s largest wire and tube manufacturing companies. Tom is proud and excited to be working with a wonderful team in Northland, who take pride in their work and are passionate about this area, enjoying and promoting the winterless north. This is a region that is very proud of its heritage, cultural values and history. Tom and his wife Jenny cannot speak highly enough of the Far North, from the welcoming communities, friendly people, amazing scenery to some of the world’s best coastlines and entrepreneurial businesses. Trust and professionalism are key words in Toms life, and he welcomes discussion on real estate, the wonderful northland region and the fantastic lifestyle opportunities available here. 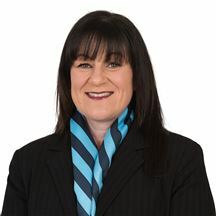 Trish joined the Harcourts Bay of Islands Realty Ltd team in 2012 initially as the Office Operations Manager, and now as the Compliance Manager for the company’s seven branches. 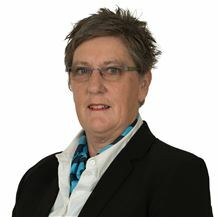 Trish has a strong family background in real estate, from her family owning a company in Mangawhai to three members also having worked for Harcourts. 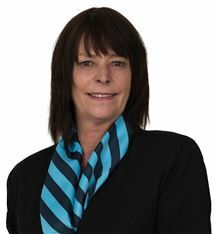 Wendy joined the Harcourts Kerikeri team in April 2016 after relocating from the UK where she had been living with her husband for 8 years. She has been the Finance Manager since August 2016 and has a strong Finance and HR background after working in a variety of industries from IT to Scaffolding. Originally born in Auckland Wendy is proud to call the Bay of Islands home and enjoys everything that Northland has to offer. 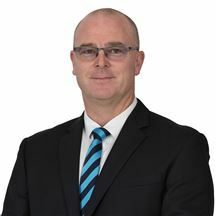 Alan is an extremely experienced salesperson having been in real estate for 20+ years and recently been the Harcourts BOI Sales Manager for two years. Past experience includes national sales manager’s role with Ramset/Reid part of ITW International group of companies. Alan’s proven record with negotiation and being able to offer a tailored marketing plan to get your property sold, will see your investment achieving the maximum value. 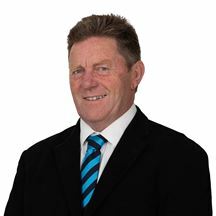 Bill Easton has a five-star history in Real Estate in Kerikeri. Having started in real estate in 1986, Bill has been an owner, and sales person and has also used his career to help and support his community in various developments including extensive involvement in the initial Riverview School development project. 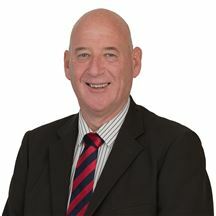 Bill has consistently been a top performer winning many awards, including Bay of Islands Realty Limited Salesperson of the Year on two occasions. With such a wealth of knowledge and experience of the area, Bill is often called upon for advice and help. Bill has always proved that honesty is the best policy and has many satisfied buyers and sellers over the years that can attest to this. As a result the majority of his business is now repeat business – some of it spanning for more than 25 years. Patience and persistence are two of Bill’s strengths – one recent deal took over three years to get together! Bill has an excellent rapport with all the professional advisors in the township and will always go the extra mile in assisting all parties of a transaction to achieve a satisfactory and speedy result. Bridget is an experienced real estate salesperson, who has high standards in terms of customer service and attention to detail, and a strong belief that strategic marketing is key to attracting buyers to a property. She works in partnership with Steve McNally, a well-known property specialist in Northland – together the two have become known as a highly effective and successful real estate team. Bridget is thrilled to have joined Harcourts, a well-regarded brand with an excellent reputation in Northland, and an exceptional local management team. Bridget and Steve are based in the Harcourts ‘on the corner’ office in Kerikeri – feel free to pop in anytime for a chat. Carrie-ann’s approach to real estate is simple, she finds out what you want and what your expectations are, and then she sets about delivering it. This approach has led to her successful track record. Going the extra mile in every single aspect of the job is something that just comes naturally. She prides herself in delivering - courtesy, dedication and respect, with professionalism to achieve optimum potential for you. Carrie-ann is very connected to the local community through her two lovely children and their family activities, and when she isn’t out successfully selling real estate you can find her catching up with the locals at Alfresco’s. Feel free to drop by and catch up with the market news. Her hands-on, down-to-earth, practical approach is refreshing to say the least. Carrie-ann won't make promises she can't deliver on. That's something she brings to real estate from her previous careers in retail and hospitality. If you want to sell with success, give Carrie-ann a call. Think honest professional service - Think Carrie-ann! Specialising in waterfront, premium homes and lifestyle properties, Esmae Farrington has a formidable reputation for achieving results. Being a consistent multi-million dollar agent over the past 16 years in the Bay of Islands, Esmae is greatly respected by her clients as is evidenced in the repeat business and ongoing referrals that have garnered her a world-wide clientele base. Her limitless energy and integrity dovetail with her expertise in selling luxury properties and providing a professional service that sets her apart. She has in-depth knowledge of the Far North’s waterfront and premium home market and is conversant with mortgage packaging, finance applications, immigration and Overseas Investment Office requirements – knowledge essential for qualifying buyers in today’s market. Esmae brings a positive straight-talking passion and commitment to real estate. Her professional approach was gleaned from a successful banking career and corporate life in which she worked with some of New Zealand’s leading companies in the fields of marketing, advertising and public relations. This extensive background has equipped her to strategise and create targeted marketing for vendors. Her campaigns are well designed, well managed, realistically budgeted and aimed to achieve the best results. She knows that success in the current real estate market requires an empathetic understanding of the needs of her clients whether they are buying or selling; they can be assured she will offer thorough knowledge of the market and current real estate practice. James joins us from a corporate background having spent the last twelve years working in both New Zealand and Australia for one of the largest FMCG organisations in Asia Pacific. James has a broad range of experience ranging from sales & marketing, operations, and supply chain management and he recently project managed the design build of a state of the art distribution facility in Wiri. James and his wife Karen have been seasonal residents of the Far North for fifteen years enjoying the lifestyle the region has to offer whilst on break from their busy careers. They have two grown children and are now focused on joining the Far North community on a permanent basis. Karen teaches at Kerikeri Primary School and James is looking forward to working with local businesses who are looking to buy, sell or simply renew their commercial leases. Honesty and integrity underpin James approach to business and he is happy to discuss your commercial plans in confidence. Starting his property career while working in Sydney for a local businessman, Jay’s interest in real estate was sparked. Returning home to Kerikeri has provided the opportunity to peruse this career with a passion. Jay’s extensive local knowledge enables both buyers and sellers who are looking to make the next step, to do so with complete trust in his ability. His philosophy is simple and is what Jay calls the modern approach – ‘Be open and be honest with all parties by giving candid feedback’. This honesty, in conjunction with detailed buyer feedback gives sellers the necessary knowledge to make decisions when the time comes, and buyers are assured they are getting the best possible service. Jay prides himself in putting together a custom strategy, that endeavours to achieve results within the desired timeframe. When work allows, Jay enjoys all aspects of the outdoors. He can be seen out enjoying the tracks on his mountain bike or enjoying a game of tennis at the local club. Being a sailor at heart, he loves the thrills of sailing and kitesurfing in the warm waters of the winterless north. Growing up, he sailed the world with his family and was introduced to many different cultures. This has equipped him with empathy, respect and understanding; attributes essential in building client relationships and succeeding in today’s hectic real estate market. Lesley is one of Harcourts Kerikeri’s awarded consultants, having twice been named in the top 50 sales consultants for Auckland and Northland regions. 2017 was one of her best years yet. This success can be attributed to her unrelenting drive to achieve the best possible outcomes for her clients. She has a passion for helping people achieve their goals and has numerous clients who not only sell with her but buy with her because of the extraordinary effort she goes to get a great result all round. She is results driven and having owned successful businesses in Kerikeri over the past thirty years, she has in depth local knowledge and contacts. Her honesty, integrity and negotiation skills will help you attain the result you are looking for. Lesley and her husband have raised two children in the area and are very well connected in their community. They spend their leisure time on their Launch “Vision” and have spent many years diving and fishing in the area. They are extremely proud to call the Bay of Islands home. Liz has relocated to Kerikeri after 30 years of selling Real Estate in Auckland Central Suburbs and is delighted to join the team at Harcourts. In 1997 Liz became an Associate of the Real Estate Institute and an inner city resident personally witnessing the growth and desire to live in downtown Auckland. Liz has taken a lead role in successfully marketing and selling significant buildings throughout the city. An outstanding example is The Connaught where Liz sold over 150 apartments in this building alone. Liz’s repeat clients are her testimonial, they appreciate her enthusiasm, expertise and her extensive experience in all facets of the real estate industry. A great deal of Liz’s clients have been offshore and confident in her ability to ensure their best interests are attended to personally. Liz has a remarkable talent for marketing and ensures all campaigns are designed to attract the best possible outcome for her clients. Experienced and knowledgeable in all facets of the residential market, her business practice over the years has resulted in practically all of her real estate activities being conducted for parties referred to her by professionals both finance and legal and satisfied clients. 2017 was a fantastic year for Martha and her clients and she is confident that 2018 will continue to see more families happily settling into our friendly community here in beautiful Bay of Islands. This is a wonderful place for families, business people and retirees alike. Having strong hereditary ties to the North Martha has an enduring love and connection with this area. She and her husband and returned many years ago from civil service in Wellington to give their children a great start in life. 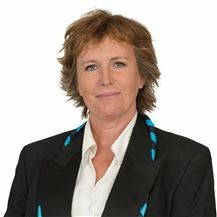 Martha has had over 30 years’ experience in the sales and service industry. 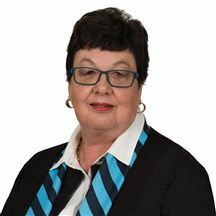 In line with her high professional standards she has chosen to work with the most successful real estate company in Northland, Harcourts Bay of Islands Realty Ltd. This gives her, and consequently you, access to the best marketing tools, market information and buyer pool. All this combines to provide you with top quality service for your real estate needs. However, her philosophy is simple; having two ears and one mouth enables one to listen twice as much as one talks. It is this philosophy that enables Martha to discover your needs and supply the necessary tools to help you achieve the best results on your property journey. Thanks for your support everyone. If you're thinking of selling, now's a great time. Give me a call to discuss the best marketing option for your property. Paul grew up in the Far North, although often living and traveling overseas or living in different areas around New Zealand. Family living in the North meant Paul was always back to visit or holiday. Over the years Paul has owned property on the west and east coasts, with the intention to come home. Recently Paul made the move back after several years working in the fast-paced Hamilton property market. He currently lives on a lifestyle property on the out skirts of Kerikeri with his wife Clare and two children. Paul hopes to find time to enjoy the fantastic fishing and boating the North has on offer and ensure his family get a chance to enjoy the outdoors as much as he did when he was growing up. Paul gained experience marketing and selling a wide range of property, each with individual marketing needs and strategies. Paul brings this experience and enthusiasm to every property he markets. Getting the best possible result for you, is central to Paul’s real estate goals. Give him a call today. Rex has lived in Kerikeri for 35 years. His children were all educated in Kerikeri and he has been closely involved with the Kerikeri Cruising Club during that time. Rex and his wife Erica have been married for 49 years, have four children and four grandchildren. He established the Kerikeri Yamaha School of Music that is now owned and operated by the original music teacher he employed in 1983. Rex then went on to establish his own Life Insurance Brokerage qualifying as a mortgage broker in 1998 under the AXA agency. An opportunity to sell real estate arose in 2000. To be sure he offered the best service possible, Rex studied to become an Associate of the REINZ and qualified in 2004 winning the Fletcher Challenge Award for the “Best Academic Student” that year. He went on to become the licensee of a local Kerikeri real estate brand and remained in that position for five years before seeking new horizons. Qualified in both Rural & Residential sales he enjoys working in all respects of real estate helping clients reach their real estate goals. If you are planning to buy or sell property it is vital to have an agent with a reputation for integrity together with a sound working knowledge of local real estate matters. Contact Rex for assistance with all your real estate needs. Ranking in the top two for the Bay of Islands Realty Group (covering 7 offices in the Far North), Robi has achieved the Silver Award for individual Gross Commission for 3 years continuously until 2019. She has been a consistent Harcourts Northern Region Award Winner every quarter since 2014. Her desire to put her clients and customers first and to do the right thing in the shortest time frame possible provides her with an excellent referral business from her many satisfied clients. Robi works quietly and meticulously while maintaining a friendly ‘can do’ approach. She enjoys going the extra mile in all aspects of real estate and she has an excellent work ethic providing sellers and buyers with the result they are looking for. Robi moved to Kerikeri from Christchurch over 40 years ago, travelled extensively around the world with her young family supporting Mike in is professional sailing career, and returning back to this area 16 years ago. Robi and Mike can be found on days-off on their much-loved launch ‘Tapui’ enjoying the Bay of Islands cruising life. 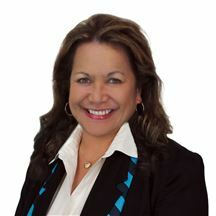 Robi began her successful real estate career in May 2011 and has remained in the same office until this day. 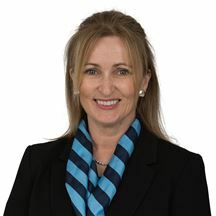 She enjoys the culture of Bay of Islands Realty, where team work is strong and believes in the Harcourts brand. Robi is proud to be a senior team member of this successful agency. Ron’s wealth of knowledge in both real estate, agriculture and forestry makes him an asset to Harcourts and an exceptional resource for any client. Although Ron achieved his Diploma in Business Studies and Property Management in 2001, and has been in real estate since 2000, and graduated to AREINZ level in real estate in 2008, this did not stop him from having closed his biggest sale yet in 2017. He is actively involved in the Kaikohe community, supporting many events including the Waimate North A&P show as well as the Kaikohe A, P &I Show. An avid member of the Campervan Association, Ron has great contacts outside of the area as well. As well as being an active farmer in the Kaikohe area, Ron specialises in the rural and forestry sector. If you are looking for an agent with knowledge, honesty and integrity, give him a call today. Experience a master marketer. You wouldn’t trust the sale of your home to just anybody. The art of gaining maximum value for premium properties requires somebody who has a positive, proactive mindset. Ross Paterson of Harcourts is a creative marketer who understands the strategies and technologies of the ‘new’ approach to real estate that have emerged in recent years. He understands what is required to design and execute successful property marketing plans. Achieving best price means having a maximum number of motivated buyers on auction day. That’s what a Ross Paterson designed marketing plan sets out to do. Ross does a huge amount for the community and specialises in charity auctions. Having been involved in the Hospice Innovation Club Charity Auction, the Paihia Wearable Arts Auction, Mid North Family Support and many more. He also is the instigator for running the Inter Secondary Auctioneers Championships that builds confidence and oratory skills in Northland Youth that has seen life changing impact in the lives of the students he has worked with. Entrust a master auctioneer a graduate of the prestigious Melbourne School of Auctioneering, run by the Real Estate Institute of Victoria, Ross is also an accredited REINZ Auctioneer. He has sold many prime New Zealand homes under the hammer and is truly one of the best and most highly regarded auctioneers in New Zealand. A Northland boy from a farming family, Steve graduated with an Agricultural Science degree majoring in Valuation, Farm Management and Soil Science from Massey University. After graduating, he worked as a Registered Valuer for almost 30 years, then managed large sheep, beef and dairy units before embarking on a career in real estate. Steve has personally owned horticulture and forestry blocks and has hands-on experience with property development having completed numerous residential and lifestyle subdivisions and house builds of his own. Steve’s extraordinary knowledge and hard work has led to significant success in real estate in recent years with many happy clients who have appreciated Steve’s ability to deal with the complex issues and take the stress out of selling their property. You will find Steve at the Harcourts ‘on the corner’ office in Kerikeri – feel free to pop in anytime for a chat about all things property related. Tina knows very well the many different roles a home plays in our lives. A place of comfort, a warm roof over our family, a space to entertain friends, a playground for the kids to explore... Our homes are part of us and their role in our lives change throughout different chapters of life. It’s this understanding of the life journey of a home and Tina’s natural ability to create warm connections with people that makes her exceptional within real estate. Having spent over 20 years in the fashion industry Tina is fantastic at gracefully guiding people to buy what they love. This industry also helped Tina develop her passion for design and eye for detail. If you are looking for someone who understands the emotions of buying, owning and selling a home, who is passionate and has a genuine desire to see dreams come true for all involved, then Tina is your lady. Victoria comes from a business, corporate and construction background, so her understanding of the property market is strong and competitive! She will recognise the WHOLE potential of your property and point you in the right direction of how to maximise the value. Victoria moved to New Zealand in 1994 and lived in Christchurch for almost 20 years before moving to Kaeo and the Far North 3 three years ago. She loves the Far North community and is a local volunteer Fire Fighter. Victoria is determined to do the best and achieve the most desirable results for you. Frances has been working in the Real Estate industry for the past 18 yearts with 16 years in an administrative/manager role within the Property Management division. She commenced employment with Bay of Islands Realty Ltd as part of the Property Management team in 2014. Frances enjoys working with people and in a team environment. She has great customer relations and communication skills and will go the extra mile for a good result. Ross Taylor has joined the Bay of Islands Realty Ltd – Harcourts team as Property Manager in our Paihia & Kaikohe offices. Ross, after 20 years in the building industry, joined the real estate industry firstly in sales for three years and then property management. Twenty nine years later Ross is still involved in property management, protecting landlord’s investments and ensuring tenants are well cared for. Ross is a people person and takes great pride in matching people to properties. He takes a hands on approach and is very practical often drawing on expertise from his building background when dealing with maintenance issues. We are delighted to have Ross join us and look forward to enhancing the value of your investment. Testimonials Ross gives great service, always helpful and makes the owner’s problems disappear. I have known Ross for many years, and found him to be honest and direct, a person who does what he says he will do. He was the obvious choice to manage our property. Ross does the industry proud by providing excellent service every day to his clients, not just as an exception. He also understands that property management is more than rented houses; it is taking are of people’s investments and dreams……. Ross is a fair man for both the tenant and landlord while at the same time not standing for any nonsense, making sure everything will get done…… Ross goes the extra mile and is very good to deal with. I would thoroughly recommend Ross to other landlords. Ross is well known for the excellent, reliable service he gives. Many friends who have rental properties outside his area envy me for having such a helpful, consistent property manager……….Ross was recommended to me after I had had a disastrous year with my other property manager and my two properties. Ross has been absolutely fantastic to deal with and now my hassles are virtually nil! Owning a rental property can become a stressful way to invest for your retirement. Dealing with tenants and tenancy issues, finding potential tenants and showing them the premises can all be time consuming and inconvenient. Having a property manager means that all of these irritations can be avoided…. 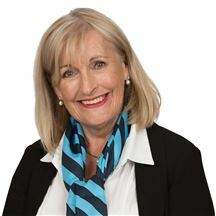 Ross has managed our rental portfolio for many years and has proved to be excellent in all areas of property management………..
My name is Trish O’Brien, your residential and commercial property manager. I am passionate about caring for the landlords and tenants I have the pleasure to work with. Such an important asset requires a professional who will listen, care, and work with you to meet your needs and achieve your goals. You will enjoy my proactive approach to communication, ensuring that day-to-day you are never left in the dark, and that any foreseeable issues are eliminated or minimised. If you are looking to partner with an experienced property professional, I would welcome the opportunity to meet with you. Ariana Rollo joined our Finance Department based in Kerikeri in 2016. She thoroughly enjoys the role she plays in our growing team. Processing all Sale and Purchase Agreements for six of our branches and working closely with solicitors, our real estate agents and our admin team. Born in Opononi where the beach was her backyard, Ariana has been brought up with a love for outdoor activities including Fishing, Hunting, Mountain Biking and Netball. Bryony Peddie is the Marketing Co-Ordinator for all seven offices within the Harcourts Bay of Islands Realty group. Working with over 50 staff members, Bryony prides herself on her time management skills, communication and organisation skills. Bryony made the jump to Harcourts in 2015 when she left her Café management/coffee days behind. When she’s not striving for the best at work, Bryony love’s being out on the water and in the outdoors with her dog Sonny and Partner Sam. Douglas is a licensed salesperson and has many years of experience in real estate. He has worked for several award-winning people both here and in Auckland and made a positive contribution to their success. 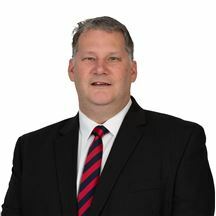 He has years of administration and customer service experience under his belt and brings those skills to our team here at Harcourts Kerikeri. Douglas is passionate about his work and ensuring those he works with succeed and helping people achieve their real estate dreams. Kylie has over 5 years’ experience in the Real Estate Industry, in various administration and customer service roles. Previously providing administrative support to both the sales and rentals teams, Kylie is now applying her wide knowledge of the industry to the role of Marketing Co-ordinator. Having a sound understanding of the complex Harcourts marketing system, meant she hit the ground running in this role and she has become a valuable member of the team in a very short time. Always available to help, Kylie has proven herself to be a dependable team player. Having worked in various roles in the Real Estate Industry for more than 20 years, Terri has a wealth of knowledge to offer. Terri will endeavour to provide you with excellent customer service. Her cornerstone has always been integrity and honesty in both her business and personal life. Coming from an administration and marketing side of the business, she knows exactly what needs to be done when marketing a property well and ensuring all the paperwork is done 100%. In 2009 Terri and her husband Jamie moved to Kerikeri to start their new sharemilking contract. While raising their children Terri decided to swap her high heels and suits for gumboots and overalls to help Jamie on the dairy farm; milking cows, rearing calves and helping with the day to day running of the farm. In 2010 Terri returned to her passion… the Real Estate Industry. Starting in an administration role then moving to a personal assistant role for a Rural Department at a local real estate company. In 2016 Terri decided it was time for a change and moved into a personal assistant role in the residential team. Two years later she is back living and breathing the rural sector alongside Steve McNally. First home buyers must view ! 'Snap it up - High Demand"
Tidy Unit in Central Kerikeri. Sizzling Hot! It's Got To Go! Ideal first home or investor. Purchase a Project for Profit! Got an Eye for a Bargain? Highly Motivated to Move On. Build Your Forever Home Here!